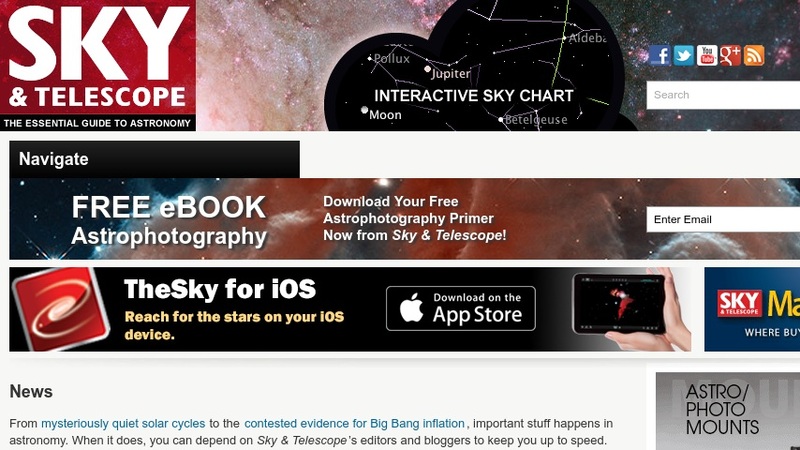 This is the online version of Sky and Telescope, the astronomy magazine for the amateur and enthusiast community. Materials include news articles, observing tips, information on products and equipment, how-to advice, and other features. Resources for observing include highlights of currently visible objects, a weekly calendar of celestial events, suggestions for observing projects, an interactive sky chart and observing tools, and other items. Other resources include a glossary of astronomical terms, software, blogs, a photo gallery, and a search tool for locating clubs and astronomical organizations.